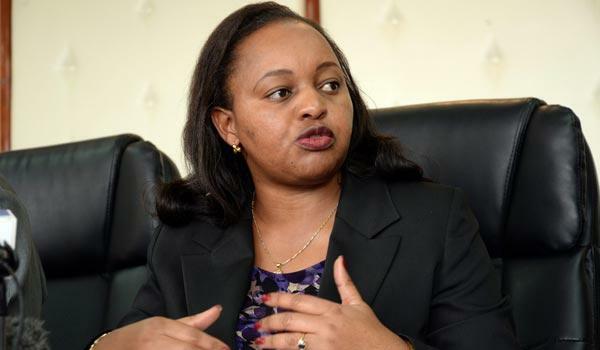 Waiguru declares interest in home county governor’s post – Kenyatta University TV (KUTV). All Rights Reserved. Ms Waiguru announced the move at a Kerugoya hotel saying after making landmark achievements in various development projects while in the Civil Service, time was now ripe to venture into politics. “I have served this country successfully as a technocrat and my track record speaks for itself. It’s the high time I switched gears and served as a politician and I promise residents they will reap benefits from my servant-people leadership,” she said. She said having been tested and proved suitable in the Civil Service, she would now serve in the new capacity with due diligence. Accompanied by Ms Purity Wangui Ngirichi, who has declared her intention to vie for Woman Representative, Waiguru said Kirinyaga people deserve a committed team. “Time has come for this great county to be served by selfless leaders who are committed to turning around the slow development rate that has persisted for a long time,” she said. Waiguru said those with eyes are never told to see and those doubting her entry into the mucky world of politics should just wait and see what she has in store. “I want to see a county where patients are not asked to bring blankets or water buckets since this is not only primitive but a sign of backwardness,” she said. At the same time, Ms Wangui said if elected she would ensure women and the youth were economically empowered. She said she will ensure Kirinyaga got its rightful place at the national arena unlike now when it comes after the rest. She claimed those in office have neglected their representative roles and opted to play the second fiddle at the expense of the electorate. “My main task is to come up with as many programmes as possible where women and the youth who are marginalised can have their economic well being improved,” she said. Elected leaders in Kirinyaga snubbed Waiguru’s launch. The Saturday meeting only attracted about 15 aspiring MCAs and also an aspiring senator Joseph Mwaniki.